All kinds of Residential Construction. 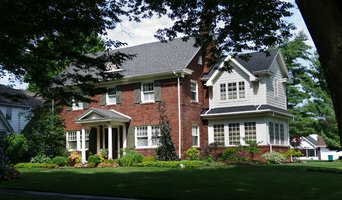 Additions, Remodeling, custom homes, decks, roofing & siding, windows & doors, kitchens & baths, basement finish outs. We specialize in total remodeling solutions, offering custom design construction & installation of kitchens, bathrooms, doors, windows, decks & siding! B3 architects offers innovative design for commercial and residential projects. Since 1976, we have delivered original design services to central Pennsylvania and the surrounding areas. Our firm was built upon a dedication to impeccable customer service and satisfaction, a legacy which continues today. We focus our design expertise in Healthcare, Higher Education, and Longterm Care. We are committed to improving communities, one building at a time, by improving sustainability, function, and aesthetics. Westwind Homes & Development, Inc.
Westwind Homes & Development, Inc was co-founded in 2002 by licensed contractor, Chris Hilkert, as a subsidiary of Hilco Construction. Chris started Hilco Construction in 1996 and quickly gained a reputation for high quality construction in several States including Maryland, West Virginia, Virginia, and Pennsylvania. Today Westwind Homes is focused on construction projects closer to home and as such, we have been designated the exclusive builder in the Central Susquehanna Valley of locally manufactured Apex Modular Homes. Our goal at Westwind Homes is to provide superior customer service that exceeds your expectations. Chris is always present to oversee every stage of the home building process. Using his creativity and expert knowledge of the industry, he will assist you in choosing a plan that meets your needs within your budget and then help you customize that plan in real time using 3D computer modeling similar to what you see on popular tv home shows so you can get a very clear picture of your finished home before you even break ground. But Chris can't do it all himself. Rest assured that the entire team at Westwind Homes is just as dedicated to making your home building journey an enjoyable one from the very first meeting until the day we hand you the keys. With so much experience, integrity, and commitment to quality, it's easy to see why Westwind Homes is one of the top home builders in the area. We Sell, build, renovate and maintain the highest quality Log , Timberframed & Custom stick built homes in America! Comprehensive thinking is what places our drafting and design services at a higher level than other drafting contractors. The majority of drafting services are just that, drafting services with limited experience and vision to develop and oversee a truly unique and original project. Brent Zerr Drafting & Design is different. We work directly with our clients, designing every aspect of their project and providing oversight on the process from beginning to end. From a simple bathroom renovation to an extensive whole home remodel we take the time to collaborate with the client and incorporate their ideas into a design that is both functional and efficient. From initial concept sketches to the post-construction walk-through, Brent Zerr Drafting & Design is a trusted partner to bring your residential or commercial, renovation, addition or new construction to life. Family owned and operated Eagle Construction and Remodeling continues to serve Berks County, taking pride in offering high quality building services. Proprietor George Lobb founded our homegrown company on personable, satisfying customer relations. His 30 plus years in the industry developed within him personal expectations: to exceed those of the customer. As the primary project manager, George can be reached around the clock for any of your home building needs or questions. We believe you are the creator of your dream home; let us be the developers in making that reality. Our work has been recognized throughout Pennsylvania, as partners with the Home Builders Association of Berks County, Pennsylvania Builders Association and the National Association of Home Builders. We are proud of each of our projects, and to continually represent repeat clients and their referrals. Thank you for considering Eagle Construction for your next construction project; we strive to be your contractor for life. 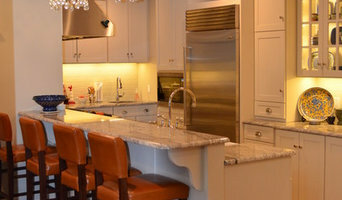 We've been in the business of kitchen, bathroom, general remodeling since 1971. 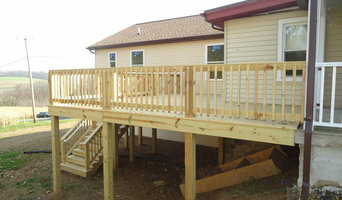 We also do decks, additions, basement upgrades and more. No job to small or to large. Call us today to help make your visions come to life! We can't wait to work with you. Brooks Builders has been providing home improvement and building construction services to Dauphin, PA for over 25 years. 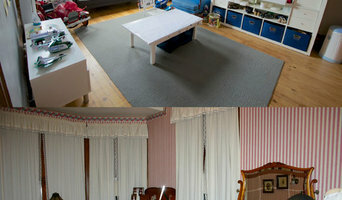 We are serving residential homes and commercial owners from Dauphin and surrounding areas. ONE (1) CALL Contracting can create unique Home or Commercial buildings as per your specification. Quality materials are always used to fabricate each and every job we complete. Contact us for more information with the type of construction you need and will go over your requirements. 1 Call Contractor, Inc., in business since 2010, is your locally owned and operated additions, remodels and roofing business. We have over 20 years of experience to give you confidence that we are your number one choice for your next residential or commercial project. Call us today and we look forward to your future business! Juniata Valley Construction is a third generation builder with family roots in central Pennsylvania dating back to the 1700s. Jerry Leach, the owner and president of Juniata Valley Construction. is a direct decendant of John Thompson the founding father of Thompsontown, and still lives within one mile of the original homestead. Jerry's father Ken Leach returned from the Korean conflict in 1951 and hit the ground running by starting Kenneth E. Leach Construction. Ken's contruction company distiquished itself by building the finest quality single family homes and light commercial buildings through out the Juniata Valley. Upon graduation, Jerry followed in the family business by working for his father and learning every phase of the construction business, eventually starting Juniata Valley Construction. Jerry's youngest son, Jordan, is the third generation of the Leach family to work in the construction business. After finishing college, he joined his father as the Production Manager for Juniata Valley Construction. Construction can be a complicated and lengthy process that involves a multitude of management skills, budget restraints and impeccable timing. Without an experienced team this process can turn into a host of missed deadlines, frustrations and costly mistakes. At Juniata Valley Construction our experience and attention to every detail ensures that you receive the highest quality of construction, accommodation of budgets and schedules, and the highest level of workmanship available. As a family-based business, we take pride in our work and the relationships we have with our clients and constantly strive to exceed your expectations. Let us put over 75 years of combined experience to work for you. Call today (717) 320-6061. Bonnie Heights Homes has been the area leader in affordable housing for over forty five years.ﾠThe reason is simple, we are the smarter choice. Our homes are unbeatable in their efficiency, flexibility and afford-ability. Find out why thousands of families in Central Pennsylvania come home to a Bonnie Heights Home. Muhlenberg Greene Architects, Ltd. Is a full-service Architecture firm committed to planning and design initiatives that promote efficient use of energy, resources, and materials to create safe, healthy, inviting, and sustainable buildings, while striving to minimize the impact of construction on the environment. We focus our efforts on creating a superior built environment that will meet the goals and expectations of each of our clients. Our design process incorporates “Green” design principles, innovative building technologies, and sustainable practices throughout the planning and design of your building. Muhlenberg Greene Architects’ (MGA) staff is comprised of qualified design professionals experienced in every phase of the planning, design, and construction processes for projects of all types and scales. MGA’s full-service design approach means we compose a dedicated design team to work with you to meet the specific requirements and provide the necessary disciplines for your project. Private owners, corporations, public and private institutions, as well as local, state, and federal agencies have all benefited from our experience and expertise.